You’ve probably heard someone mention SEO, or search engine optimization. You may have heard promises that someone can, for a fee, get you to the top of all search engines. Here’s the truth: Not everyone can be at the top. The dirty secret of search engine optimization is that there really is no secret to it at all. You need a professional site and an ongoing promotional effort. It takes some time and effort. 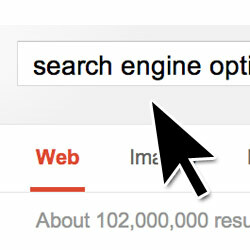 The best way to be the top result is to best match a particular keyword search term. If your web site is built correctly and has useful content, you’ll be able to tell search engines what you offer and those looking for it will find it. MuseArts can help you make sure your web site is optimized for search engines and has tools to help you stay optimized as you make changes to existing content and add blog posts to your site. Search engine optimization plugins can be used to further refine how you communicate with site visitors as well as search engines looking at your site. Some businesses face special search engine challenges, such as active competition or a non-descriptive name that makes it difficult to stand out. In these cases, online advertising is often the best way to gain an advantage. We’ve been building sites and watching search engines since before Google began. We offer tools and strategies for those interested in the on-going process of site promotion and search engines. MuseArts can help you navigate search engine fact and fiction.